Medical Malpractice Help » Medical Malpractice Causes » Legal Information » Who Legally Qualifies As A Medical Expert Witness In Florida? State law establishes several strict requirements that govern who qualifies as a medical expert witness in Florida. What Criteria Do Medical Experts Have to Meet in Florida? Can an Out-Of-State Doctor Act as an Expert Witness in Florida? Why Do I Need a Medical Expert Witness for My Malpractice Case? How Can I Speak to a Medical Malpractice Lawyer About My Case? Meet additional requirements of a medical expert witness as outlined in F.S. §766.102(5). If you believe you have a case, contact the medical malpractice lawyers at Medical Malpractice Help at 855-633-2757 today. Before a doctor or healthcare professional can act as an expert witness, they must have an active and valid license and must perform a complete review of the patient’s medical records. The state statute also outlines specific criteria for specialists, general practitioners, and other healthcare providers. Working on a clinical research program affiliated with an accredited health professional school or accredited residency program in a similar specialty. A clinical research program affiliated with an accredited medical school or teaching hospital and in the general practice of medicine. Any other healthcare provider must have engaged in clinical practice, consultation work, instruction, or clinical research during the last three years. The Florida Supreme Court rejected a statute requiring the medical expert witness to have the same state license as the healthcare provider named in the suit. Accordingly, out-of-state medical expert witnesses who otherwise meet all the statutory requirements may testify in Florida medical malpractice cases. Obtaining testimony from a medical expert witness is an essential part of your case. To win your claim, we must prove that your doctor breached the standard of care and you suffered injuries because of their negligence. Other medical details that can help us understand what happened. In order to comply with Florida’s pre-filing requirements, we must obtain this expert testimony before we can even begin the litigation process. Before we can proceed, we need to present expert testimony that states there is a good reason to believe malpractice occurred. We will work with a medical expert that meets the state qualifications to obtain this written testimony so we can proceed with your case. In 2013, the Florida Legislature amended some of the state statutes that apply to medical expert witnesses. These changes deal directly with the admissibility of scientific expert evidence at trial. The legislature proposed a Same Specialty rule that would have disallowed expert witnesses who did not practice in the same field as the defendant doctor. The current law allows expert witnesses who practice in a similar field to testify. In 2017, the Florida Supreme Court declined to adopt these changes. The Court made this decision in an effort to make sure claimants are able to obtain suitable expert witnesses for their medical malpractice lawsuits. 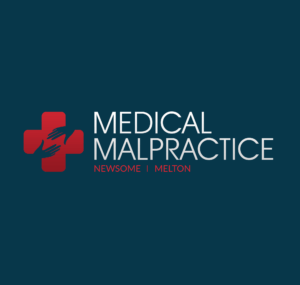 At Medical Malpractice Help, our medical malpractice lawyers can advise you of your rights and offer straightforward advice on your claim. We can locate an expert medical witness with the appropriate experience for your case. Let us help you fight for the damages you deserve. To schedule a free case evaluation, call our office at 855-633-2757.